When I tell people that I teach middle school, their reaction is often, "Wow, I could never do that!" But the truth is the middle school teachers who I know love the daily challenge we face teaching middle-schoolers who are bridging the carefree elementary years and the pressure-cooker that is high school. In line with AMLE, the Origins Program's Developmental Designs (DD) approach succinctly defines the needs of the middle-schooler as fun, competence, relationship, and autonomy which join with supportive community, motivating instruction, and social-emotional skills, to create an engaged learner. One way that Siena provides for these needs and sets the tone for purposeful learning is with our regular "Circle of Power and Respect," meetings, CPR for short. In small advisory groups of 12-14 students, students and advisors/teachers spend time building community and relationships. The students come from all three grades but join together as a group. Each CPR meeting has four components: greeting, sharing, news, and games. By greeting each other, our students create an inclusive community. They practice basic social skills like making eye contact, shaking hands, and acknowledging people by name. After greeting, we share, from simpler to more complex formats as the school year goes on. In the fall, students might share a one-word answer to a question such as "What is your favorite color?". Later in the year, students share more personally such as vacation plans or debating a current social issue as a group like "What's your favorite consumer technology?". We cultivate a listening dynamic by focusing on the give-and-take (i.e. in a whole group share, we only hear one voice at a time) and asking each other questions to deepen the conversation. As the school year progresses, we see new friendships develop across grade levels and students' conversational skills flourish. The daily news takes many forms such as thought-provoking facts about history, science, popular culture, and current events as well as reminders of school events. Students often leave CPR heading out to first period, still talking about the daily news. Since we use the same daily news in every classroom, these are also topics that students may discuss with other middle-schoolers. Reminders of upcoming school events help support our students' time-management skills. To meet the students' needs for fun, we play games together such as hand hockey or "Evolution", a pantomime version of rock, paper, scissors where students evolve from a rock to a chicken, to a dinosaur, then to a king as they win rock, paper, and scissors matches. Sometimes the games might have a winner, but typically, the games prompt us to work together to achieve a goal. Our games become increasingly complex as the year goes on, and we return to old favorites. After playing, we reflect on strategy or ways to improve gameplay. Students often create new rules or suggest ways to increase the challenge level. Strategizing gameplay, playing together and reflecting on achievements and challenges within the game creates a shared, active and reflective mindset among students and teachers to start the school day. To see the list of games CPR uses, click HERE. 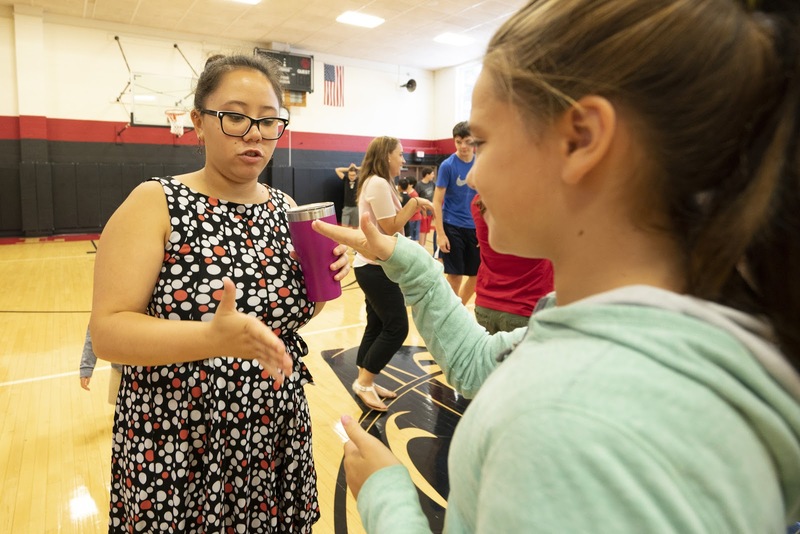 When we recognize and find valuable ways to fulfill our middle schoolers' needs for fun, relationships, competence, and autonomy throughout the day, we are all better prepared to weather the challenges of middle school. 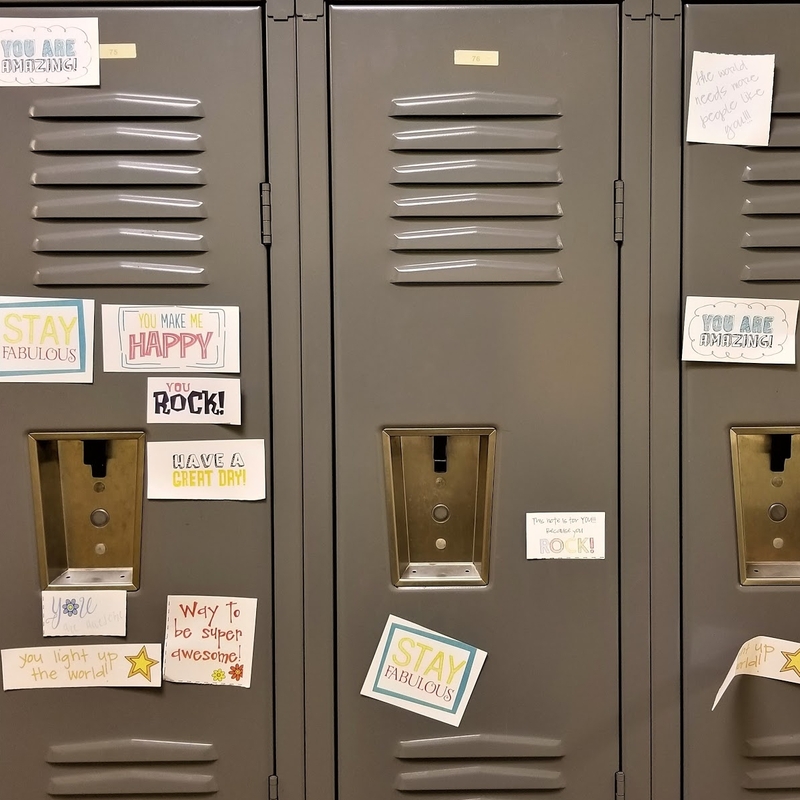 The Siena School recently concluded its fourth annual kindness week. We know from their daily interactions that our students at The Siena School are kind and empathetic. In fact, research Kiley Hamlin at the University of British Columbia, proved that children are wired to be kind. Celebrating and encouraging kindness has many benefits; for the recipient and especially for the person being kind. Some of the benefits of kindness include the release of neurochemicals, dopamine and serotonin. Dopamine is released when we experience something rewarding or pleasurable; when we are kind, our dopamine is boosted giving us a “helper’s high”. Serotonin is associated with a sense of well-being. Being kind also strengthens relationships: when someone shows kindness to another person, it releases oxytocin which is the chemical known for creating bonds between individuals and building social trust. Multiple studies have also shown that when we are kind to another we are more optimistic and positive. What did Siena’s Kindness Week look like this year? 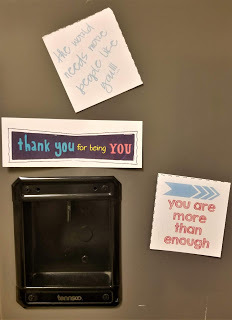 Colorful cards that read “The world needs more people like you” and “You are more than enough” were plastered on the students’ lockers. To download these printable cards, click here. 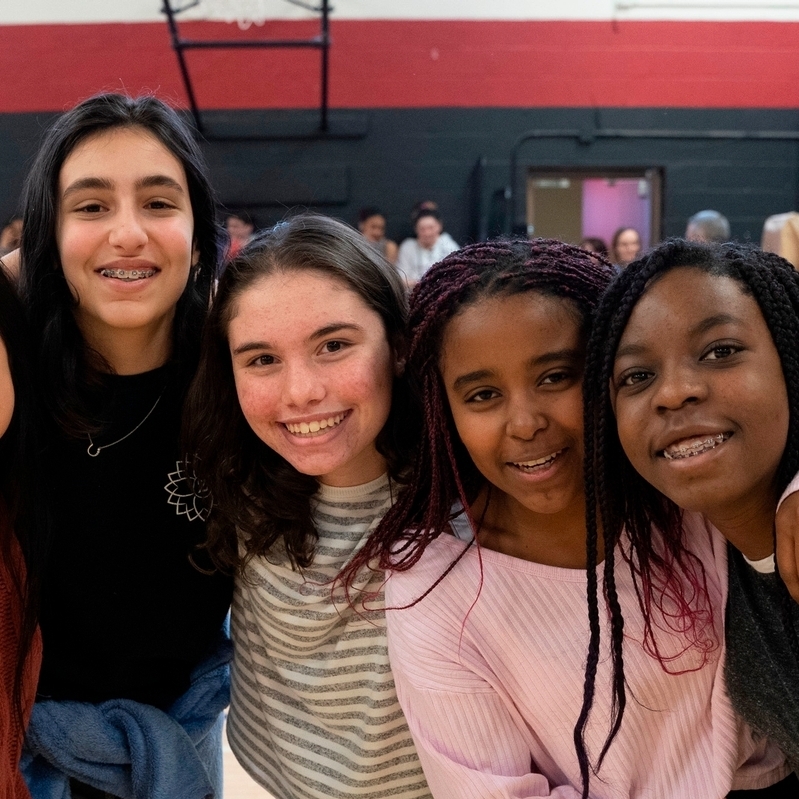 Our student Kindness Committee created a video for the student body that depicts “kindness contagion”, the notion that when someone performs kind act for us, we are more likely to engage in kind behaviors as well. Students were also “Undercover Kindness Agents”. They picked names and were encouraged to perform anonymous acts of kindness. The students later reflected on the impact of their kindness, both on themselves and on the recipient. Being intentional about kindness is another way to take care of ourselves. When we act in kind ways, we are improving not only the lives of others but our lives as well. Our kindness week succeeded in motivating our students towards acts of kindness and demonstrated the immediate benefits of their benevolence. 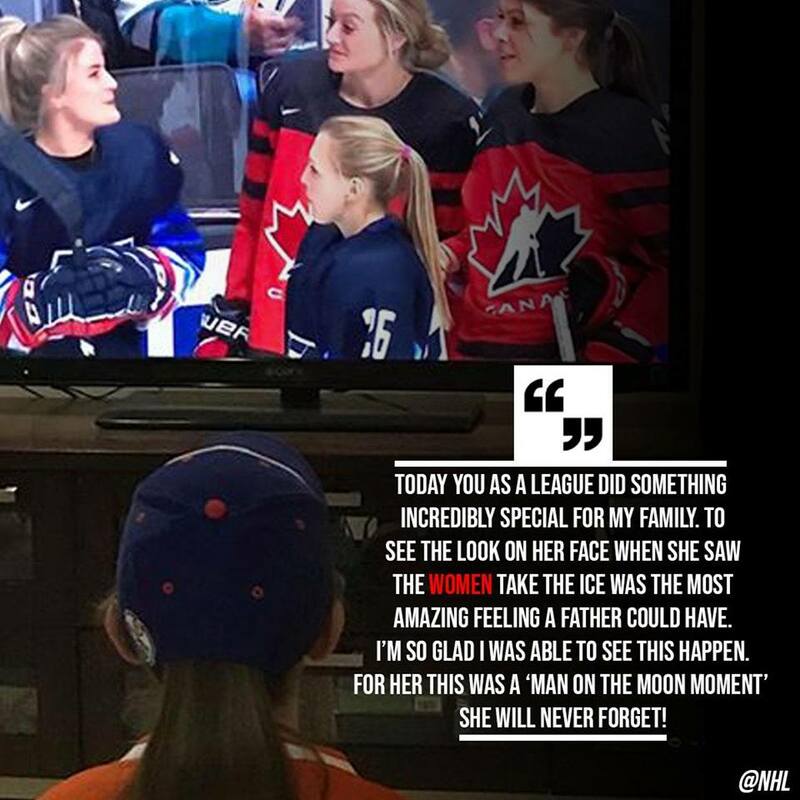 On January 26, 2019, the NHL made history when Kendall Coyne Schofield became the first woman to compete in the fastest skater event in the NHL All-Star skills competition. Three other female ice hockey players, Brianna Decker, Monique Lamoureaux, and Jocelyne Lamoureaux were also showcased as demonstrators for the events in the skills competition. This decision by the NHL was witnessed around the country and is a big step towards women's equality in sports. Many parents remarked on the excitement their daughters felt getting to watch women compete on TV alongside male players. The NHL's decision comes at a perfect time because today is the 33rd annual National Girls and Women in Sports Day (#NGWSD). This year's theme is Lead Her Forward, which the movement's website explains is, "to honor the many ways that sports push girls and women to achieve excellence and realize their boundless potential." This is an important message to send to young girls, especially since, according to a 2017 “Girls In Sports” study by Gatorade, girls are dropping out of sports at 1.5x the rate that boys do by age 14. More than half of girls will quit sports altogether by age 17. 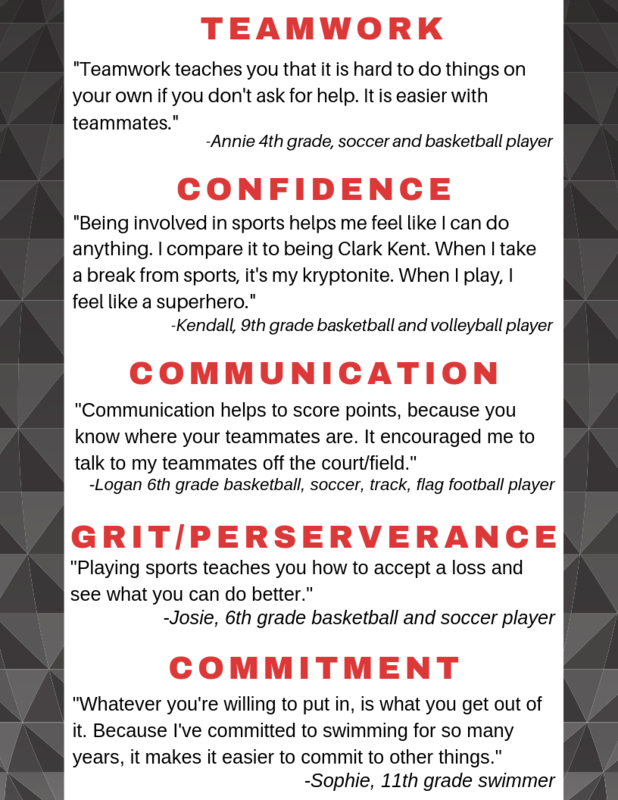 As coaches and athletes, we have witnessed first hand the multiple life skills learned through playing sports that go beyond the health benefits of the athletic activity. As we help to foster these skills in our female athletes, you can support your daughters by going to their games and cheering them on. Try to point out the positives that you see, which will help to build their confidence. You can demonstrate your own athletic ability or share your sports stories with them. Take your daughters with you to the gym or somewhere you can practice a sport together. If you notice female athletes being recognized on TV or in the community, make sure to point them out. For example, an NFL ad that ran during the Super Bowl featured Sam Gordon, a 15-year-old who started the first girls' tackle football league in the United States. 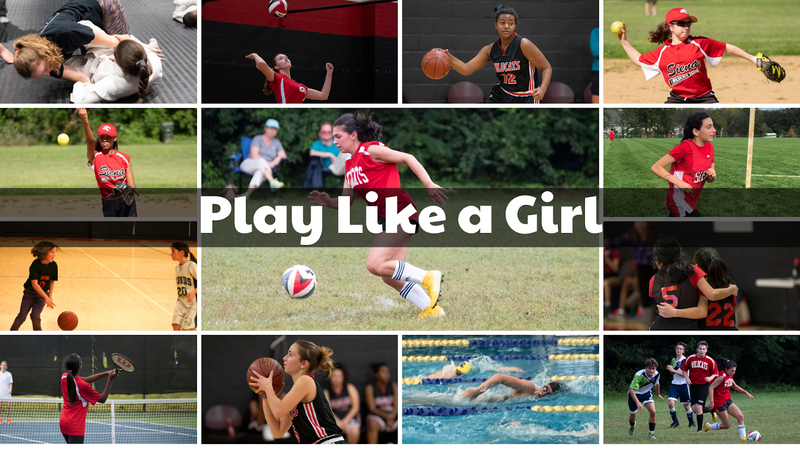 Playing sports can have huge benefits throughout girls' lives, even if they are not going to play in college or professionally. 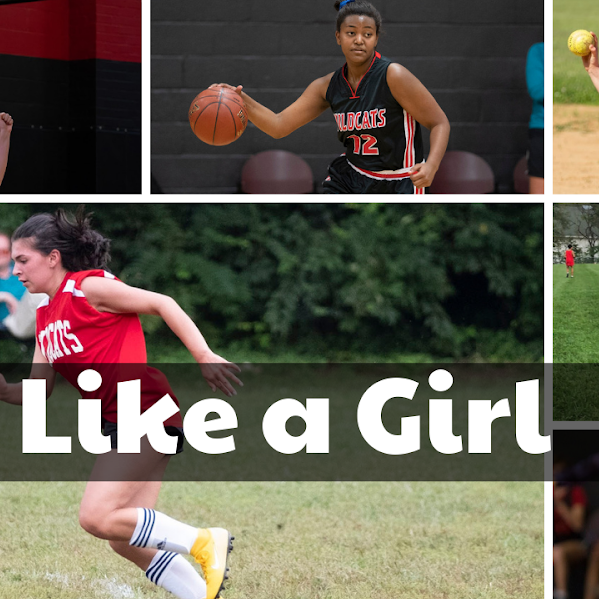 Along with initiatives like National Girls and Women in Sports Day we as parents, coaches, and fellow athletes can work together to keep girls playing and enjoying sports.